The Soapbox podcast is something that is even necessary at this time. 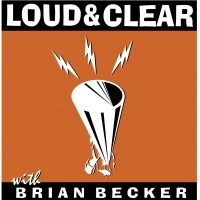 amazing shows (I am working on a searchable archive of hundreds of shows right now) and I knew if I had to put The Soapbox aside, I have a deep well of wonderful guests/topics/history to offer. It is quite an important body of work, if I do say so myself. However, I went to speak at an event on Friday in San Francisco and the young woman sitting next to me was very excited about my talk, so I told her she should sign up for the newsletters. She said, "I listen to your podcast every week." 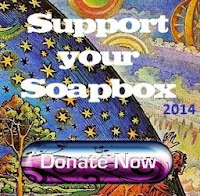 With the addition of Dakotah's perspective and the energy I drew from the young woman in San Francisco, I cannot stop with Cindy Sheehan's Soapbox and I am excited that we will be going into our 10th year of shows in 2018. 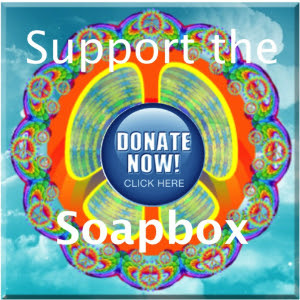 So, please, if you are able, make a donation to Cindy Sheehan's Soapbox at the Fall Fundraiser link above. Russia for the World Federation of Youth Conference. 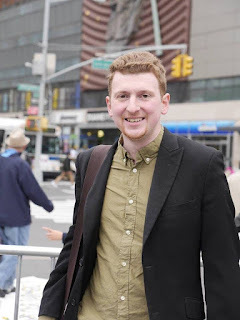 Caleb Maupin is an activist and correspondent for RT. Under the regimes of George W. Bush and Barack Obama, millions of civilians in places such as Iraq, Afghanistan, Libya, Syria, and Yemen have been slaughtered, wounded, displaced and made desperately ill with the effects of toxins such as depleted uranium: the "gift" that never ends, literally---it has a half-life of 4.5 billion years. Now, "because Trump," the image of George W. Bush has been rehabilitated and (if one can believe polls) now enjoys a 59% approval rating. He left office with ratings in the mid-20's, which I thought were far too generous, at the time. 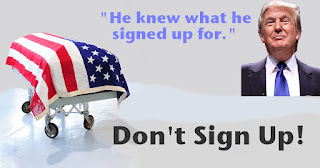 Since the imperial agenda of W. Bush murdered my son in Iraq on April 04, 2004, my personal grief has expanded to become global in nature and I can't stomach any of this Bush-lite just because he has been critical of someone with whom his family has personal issues. Remember when Trump humiliated Jeb? Jeb, whom I believe was the next crown prince of the Bush Crime Family? 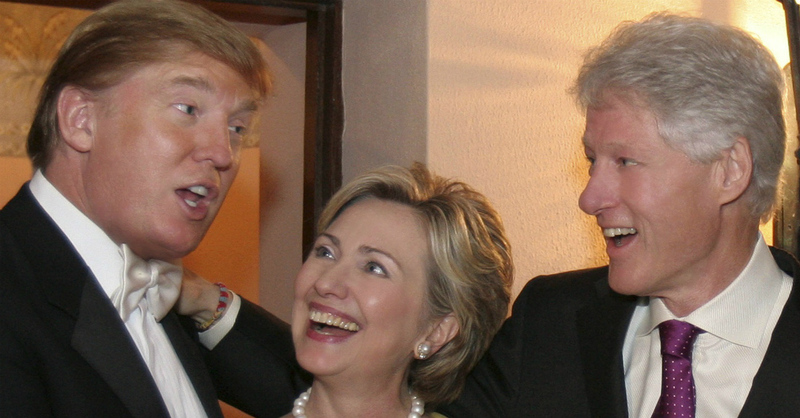 "Hillary, one day I will beat you for POTUS." This is not a defense of Trump. I am sure given one or two full-terms, his regime will equal that of his predecessors in gore and pain, but he has a way to go if he wants to catch up with them. I also know, that when his term ends, whenever that is, whichever presidents are still alive will laugh it up with him, no matter what political points they seem to be scoring today. Recently, when The Five Former Presidents™ were on their "hurricane relief" tour (god help those poor people who have already been through so much), Bill Clinton was speaking with George and Barack standing behind him. George Bush apparently said something that "cracked" up Barack Obama. Of course, whenever one killer is making another laugh, the joke is usually on us. However, what disheartens me, is how many are raving about those two mass-murderers giggling just like 7th graders at a school assembly when so many are suffering because of their allegiance to empire. Of course, the presidencies of Carter, Bush Sr. (perv and self-pro-claimed, "David Cop-a-Feel") and Clinton (W. Bush destroyed Iraq, but Clinton "softened" it up with regular bombing raids and a decade of crippling sanctions that killed around 2 million) were blood-soaked, but Obama and W. Bush seem to radiate a certain kind of sleazy vibrancy. To see these killers who have caused so much lingering pain have so much delightful fun (at taxpayer's expense, by the way), is heartrending. Even when I am at my happiest with my grandchildren and I feel my heart is filled with joy, it isn't, quite. There is always a black hole of anguish that can never be filled. 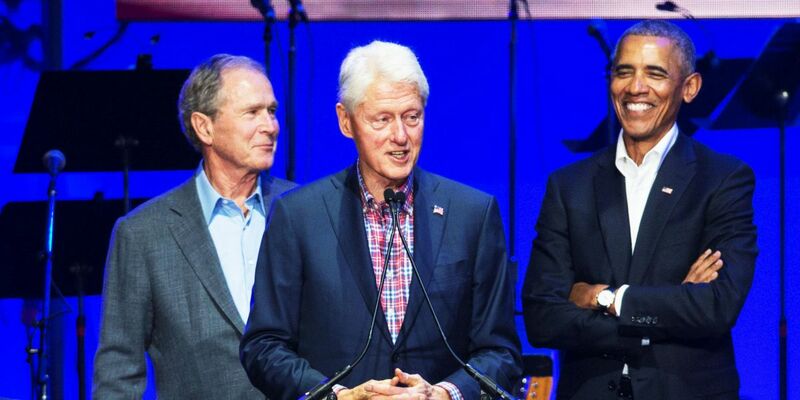 At any moment, without warning, I can be plunged back into despair, but, hey, at least The Five Former Presidents™ are still able to yuck it up and garner millions for speeches and public appearances. Who am I to deny all these war criminals a renewed lease on life? They are not good humans and they ALL (yes even Carter) deserve to be incarcerated for life at The Hague, never to bother anyone again. Just because they all left office unfettered by shackles doesn't mean they should be able to live long lives of peace and profit. 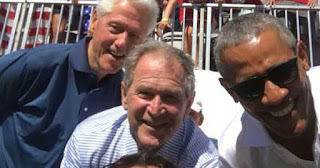 The people of the United States need to be deprogrammed from their cultish devotion to these mass-murderers: Absent incarceration in The Hague, they should be shunned and ridiculed at every opportunity. I intend to make it my life's work to hold them accountable. The People have no friends or anyone we can trust. communities while focusing on "The Big Picture?" 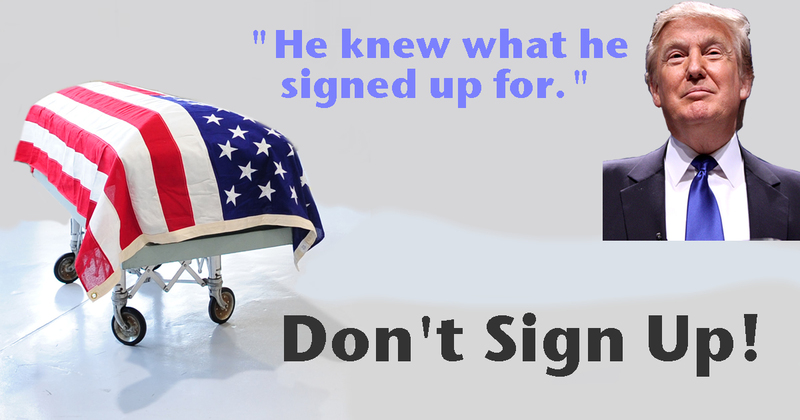 "He knew what he was signing up for," is the false canard Trump used to upset the family of Spec Forces soldier La David Johnson after he was killed in Niger. Cindy Sheehan demolishes that lie and asks the $64k question: "What is the US Empire doing in Niger?" Today, Venezuela is facing increasing threats, sanctions and foreign intervention. The United States has been the leader of these attacks against Venezuela’s sovereignty, especially through illegal sanctions, threats of military intervention, and the funding of violent right-wing counter-revolutionary groups and political parties. Venezuela was even included in the latest version of U.S. President Trump’s shameful and inhuman travel ban. The U.S.-led campaign for “regime change” in Venezuela works hand-in-hand with Venezuela’s violent right-wing opposition. These counter-revolutionaries have attempted to overthrow the democratically elected government of President Nicolas Maduro through an economic war of hoarding, price gouging and other sabotage. They have also waged a violent campaign on the streets of Venezuela that resulted in the deaths of over 100 people in the four months between April and July, some of whom were burnt alive just for being suspected “Chavista” supporters of the Venezuelan government. Is Canada Really Concerned about “Human Rights” and “Democracy” in Venezuela? Since the election of Hugo Chavez in 1998, under both Liberal and Conservative governments, all major political parties in Canada have been consistent in their attacks against Venezuela and the Bolivarian Revolutionary process. These sanctions are the latest escalation in a series of attacks carried out by the government of Canada in the name of supporting “human rights” and “democracy” in Venezuela; an overplayed and unsubstantiated excuse that has been used by the government of Canada before to justify their violations of Venezuela’s sovereignty. On top of the sanctions, Canada has been a leading voice demanding that the Organization of American States (OAS) to intervene in the internal affairs of Venezuela by implementing the Inter-American Democratic Charter. As well, Canadian Professor Irwin Cotler is a member of a sham panel that is being set-up by the OAS, outside of Venezuela and without the support of the Venezuelan people, to investigate possible “crimes against humanity” by the government of Venezuela. Cotler, a former Liberal politician and lawyer, is a good representation of who is participating in this panel. He is hardly unbiased in his views on Venezuela, as an international representative for Leopaldo Lopez, a leader in Venezuela’s violent opposition who is currently under house arrest after being convicted for inciting violence. The government of Canada was also instrumental in the development of the “Lima Declaration,” which was released in August, 2017 following meeting in Peru of representatives from Canada and right-wing governments in Latin America. The Lima Declaration includes unsubstantiated allegations of the violation of various “human rights” and “democratic” norms in Venezuela, as well as a declaration that the signatories will not recognize the National Consistent Assembly elected in Venezuela on July 31, 2017. After all of these threats and rhetoric, the question must be asked, since when has the government of Canada been in a position to condemn other countries for their abuses of “human rights” and “democracy”? As it goes, people in glass houses shouldn’t through stones. This September at the UN General Assembly, Prime Minister Trudeau highlighted the human rights abuses committed by the government of Canada against Indigenous people. "There are, today, children living on reserves in Canada who cannot safely drink, or bathe in, or even play in the water that comes out of their taps….And for far too many Indigenous women, life in Canada includes threats of violence so frequent and severe that Amnesty International has called it 'a human rights crisis,’” were just some of what he said that day. Even just reading this alone, how it possible that Canada can claim to be a leading example for human rights around the world? Not only that, following his speech, Trudeau has been widely criticized for crying crocodile tears. Even if he recognizes the atrocities and abuses of the Canadian government, his government continues to take little action towards improving the human rights of Indigenous people in Canada. In the face of this hypocrisy, the Trudeau’s government continues to carry forward interventionist policies against Venezuela. 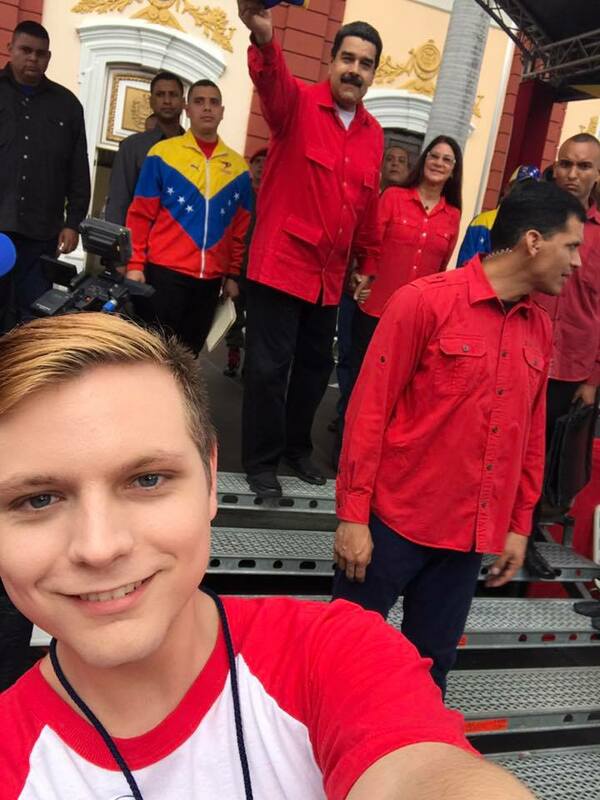 In order to establish and maintain their close relationship with counter-revolutionaries in Venezuela, the Canadian Embassy in Venezuela also awards a “Human Rights Prize” each year to a member of Venezuela’s violent opposition. This is a shameful insult to the mass majority of the people of Venezuela who support the government of Nicolas Maduro and the Bolivarian revolutionary process. As long as the government and revolutionary people in Venezuela continue to take a stand for their sovereignty and self-determination, the government of Canada will continue their attacks. The Bolivarian revolutionary process has made massive improvements in the lives of the majority of people in Venezuela, at the expense of private and international interests, including those of Canadian mining and resource extraction companies. As people living in Canada, we must build a strong and united movement in the defense of the sovereignty and self-determination of the people of Venezuela. We must fight against the illegal sanctions by the government of Canada. We must also demand that the government of Canada to recognize the legitimacy of Venezuela’s democratically elected government and put an end to their meddling in the internal affairs of Venezuela. No more U.S./Canada Sanctions and Threats! We now know that The Gulf of Tonkin Incident ( the claim that two U.S. destroyers were attacked by North Vietnamese PT boats) was a lie. This falsehood provided the moral pretext to launch a massive escalation of the Vietnam War. 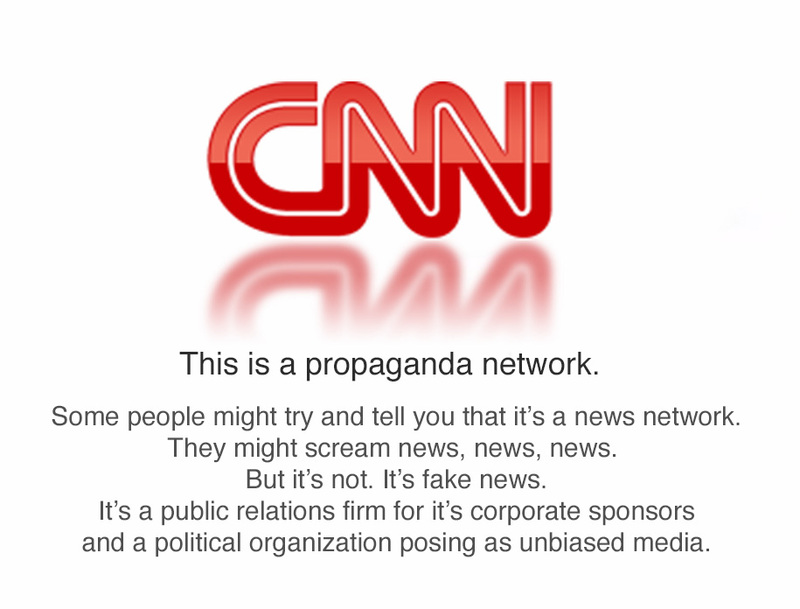 Exactly as they did in the run-up to the Iraq War, the mainstream media exclusively relied on U.S. government officials as sources of information and refused to question official narratives on national security issues. How could we possibly not have learned the simple but profound message that we should be extremely wary of any evidence provided to us by the unholy alliance of the corporate press and U.S. intelligence agencies? They have the blood of millions on their hands and Burns does a great disservice to history and humanity by failing to lay blame where it belongs. Daniel Hallin’s book The “Uncensored War” observes that journalists had “a great deal of information available which contradicted the official account [of Tonkin Gulf events]; it simply wasn’t used. The same can be said about the WMD lies which were promoted by government officials and the MSM in 2003. In 1965, Lyndon Johnson commented: “For all I know, our Navy was shooting at whales out there.” In 2016, Colin Powell said of his WMD presentation to the United Nations, "Of course I regret that a lot of it turned out to be wrong,"
"It’s the lack of accountability, the failure to prosecute those who lied to get us into the war, who encouraged battlefield tactics that resulted in the massacre of women and children, who authorized the indiscriminate bombing of civilian targets, who drenched Vietnam in chemical poisons that will cause birth defects and death for generation. Burns and Novick also portray the peace movement in the worst possible terms. In at least three places, they have moving sound bites about how returning soldiers were spat on or in other ways disrespected. It’s a false memory, at least in any general sense. They couldn’t find any visual support, no signs about baby killers because it didn’t happen." "The moral center of the Vietnam War was held by those who opposed it. Burns suggests Vietnam’s a tragedy. It’s not. In tragedy, a powerful human makes a terrible mistake and suffers the consequences. No one suffered any consequences for Vietnam. Burns assures us that even if people did wrong, they didn’t mean to." By not holding the media and government officials who lied us into this horrific war accountable, and by regurgitating discredited talking points which were designed to malign the anti-war movement at the time, Burns has reinforced the false mythology of the Vietnam War and failed to use his platform to teach the American people the essential and true lessons we should have learned from that nightmare. "If You Live in the US, You Live in a Freak Show"
Cindy Sheehan's vlog (video blog) about the war crimes and other crimes of the USA. "No pyrotechnics, no screaming, no flashy graphics, just one truth bomb after another.... On the 16th anniversary of the US invasion and ongoing occupation of Afghanistan, Cindy Sheehan gives her thoughts on US Imperialism and how we must be in solidarity with all oppressed people of the world. Also, information on opposing the further US intervention in Venezuela." On October 7, labor and antiwar activists from across the San Francisco Bay Area came together at a “U.S. Out Now!” public forum that was sponsored by the United National Antiwar Coalition (UNAC) and held at the Niebyl Proctor Library in Oakland. Forum speakers addressed all the major arenas in which the U.S. government is intervening throughout the world, sowing chaos, death, and destruction -- but special attention was paid to the urgent situation facing the Venezuelan people as a direct result of the U.S. intervention. * On July 14, the U.S. Congress, with a large bipartisan majority, approved an amendment to the Fiscal Year 2018 Budget titled, "On the Situation in Venezuela." This amendment has a military component. It begins by talking about the "instability" in Venezuela ("which risks spreading throughout the entire region") and directs the Secretary of Defense to hold a briefing ("which could be classified or not") no later than September 30, 2017 to lay the groundwork for a possible “humanitarian” multilateral intervention to address the "deteriorating situation in Venezuela." * Eight hundred U.S. Marines are slated to participate in November in joint military exercises in the Amazon jungle of Brazil, at the invitation of the illegitimate Brazilian coup government headed by Michel Temer, together with troops from Brazil, Peru and Colombia. Across Brazil, these exercises are seen to be targeting Venezuela and its Bolivarian government. According to credible sources, on October 13, the Venezuelan rightwing opposition will be declaring a “Government in Exile” and will be receiving the immediate support of the U.S. government and the OAS. The opposition will also establish a Supreme Court in Exile. We, UNAC forum speakers and participants, express our deep concern that this fraudulent and U.S.-funded "Government in Exile" will at some point call on the "international community" -- led by the United States -- to approve a "humanitarian” military intervention in Venezuela, much like they did in Haiti under the cover of the U.N. MINUSTAH troops. 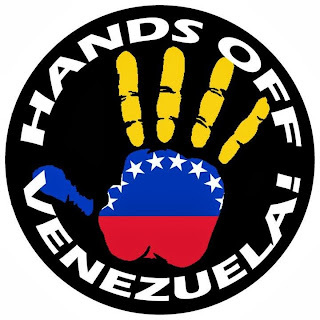 We, UNAC forum participants, reaffirm out commitment to building the broadest antiwar united front coalition, with actions in the streets across the United States, to demand U.S./OAS Hands Off Venezuela! United, we can prevail to stay the hands of the U.S. warmakers. U.S. Hands Off Venezuela! 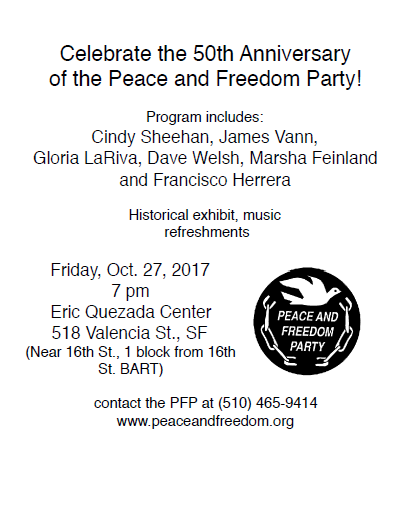 El 7 de octubre, activistas sindicales y anti-guerra de todo el área de la Bahía de San Francisco, California, nos reunimos en un foro público "U.S. Out Now / Estados Unidos Fuera Ya!" patrocinado por la Coalición Nacional Unitaria de la Lucha Contra la Guerra (UNAC). El foro se llevó a cabo en la biblioteca de Proctor-Niebyl en Oakland. Los oradores del foro abordaron todas las regiones principales a escala mundial en las que el gobierno de Estados Unidos está interveniendo, sembrando el caos, la muerte y la destrucción. Pero en el foro se prestó especial atención a la situación urgente a la que se enfrenta el pueblo venezolano como resultado directo de la intervención estadounidense. * El 14 de julio, el Congreso de los Estados Unidos, con una gran mayoría bipartidista, aprobó una enmienda al Presupuesto del Año Fiscal 2018 titulada "Sobre la Situación en Venezuela". Esta enmienda tiene una componente militar: Comienza señalando la "inestabilidad" en Venezuela ("que corre el riesgo de extenderse por toda la región") y ordena al Secretario de Defensa de los Estados Unidos que organice una sesión de trabajo ("que podría ser a puerta cerrada o no") a más tardar el 30 de septiembre de 2017 para sentar las bases para una posible intervención multilateral "humanitaria" para hacer frente al "deterioro de la situación en Venezuela". * Ochocientos Marines de los Estados Unidos están programados para participar en noviembre en ejercicios militares conjuntos en la selva amazónica de Brasil, a invitación del ilegítimo gobierno golpista brasileño encabezado por Michel Temer, junto con tropas de Brasil, Perú y Colombia. En todo Brasil, estos ejercicios están siendo denunciados como ejercicios que tienen en la mira a Venezuela y a su gobierno bolivariano. * Según fuentes fidedignas, el 13 de octubre, la oposición venezolana derechista y pro-yanqui declararía un "Gobierno en Exilio" y recibiría el apoyo inmediato del gobierno de los Estados Unidos y de la OEA. La oposición también establecería un Tribunal Supremo en Exilio. Nosotros, oradores y participantes en el foro de la UNAC, expresamos nuestra profunda preocupación de que este "Gobierno en el Exilio", fraudulento y financiado por Estados Unidos, pudiera hacer un llamado a la "comunidad internacional" - encabezada por los Estados Unidos-- para que apruebe una intervención militar supuestamente “humanitaira” en Venezuela, al igual que hicieron en Haití bajo la cobertura de las tropas MINUSTAH de la ONU. Nosotros, los participantes en el foro de la UNAC, reafirmamos nuestro compromiso de organizar la más amplia coalición de frente único, con acciones en las calles a través de los Estados Unidos, para exigir que el gobierno de los Estados Unidos ponga un alto inmediato a todo tipo de intervención en Venezuela.